All eyes will be on the prize. WELLINGTON, FL--November 20, 2017---Casablanca and Flexjet will play for the coveted USPA National 20-Goal Tournament trophy Tuesday at 10 a.m. at Grand Champions Polo Club. 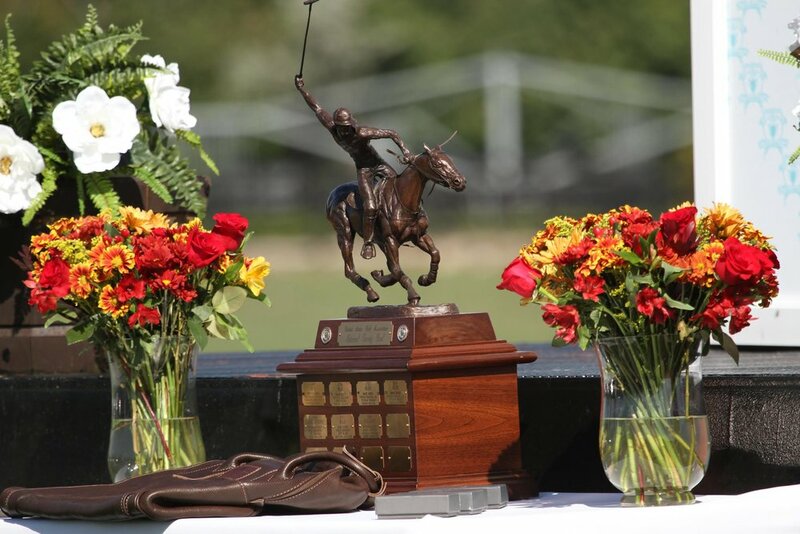 In front of a packed house on a perfect day for polo, Casablanca held on for a thrilling 10-9 victory over Newport and Flexjet defeated Santa Clara, 10-7, in Sunday'ssemifinal round. It will be a rematch of last year's final between Flexjet (Melissa Ganzi, Jason Crowder, Nic Roldan, Jared Sheldon), and Casablanca (Grant Ganzi, Juancito Bollini, Julio Arellano, JJ Celis). In that game, Flexjet rallied in the final two chukkers outscoring Casablanca, 6-1, to win 11-8. Casablanca, making its sixth finals appearance, is looking to sweep the 20-goal fall tournaments and win its fourth tournament of the season. The foursome of Grant Ganzi, Juancito Bollini, Mike Azzaro and Julio Arellano captured the USPA North American Cup with a hardfought 11-9 victory over Audi (Guille Aguero, Brandon Phillips, Marc Ganzi, Carlucho Arellano). Azzaro was MVP. 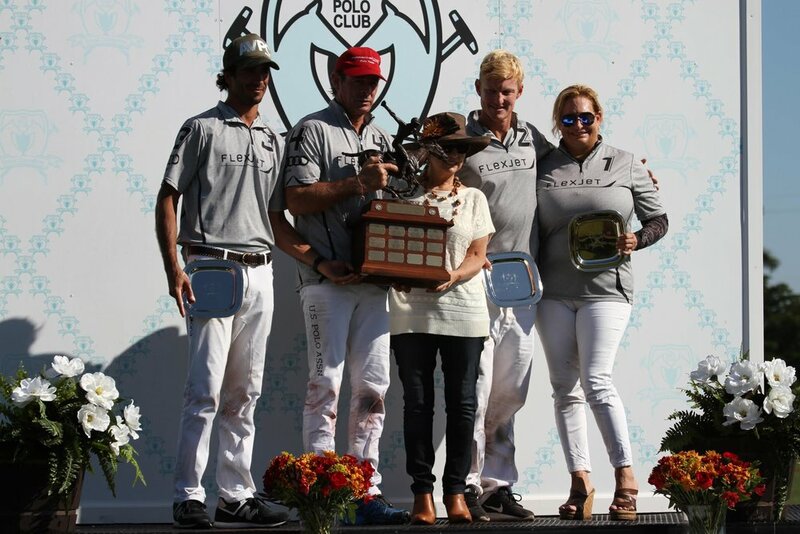 Casablanca also won the US Trust Cup and USPA Fall Classic. On Sunday, two Most Valuable Player awards were presented to Jeff Blake of Casablanca and Alejandro Novillo Astrada of Flexjet. Eight-year-old Paulina, ridden by Astrada and owned by Santa Rita Polo Farm, was selected Best Playing Pony. In the opening game, Casablanca (Grant Ganzi, Juancito Bollini, Mike Azzaro, Jeff Blake) led Newport (Gene Goldstein, Sugar Erskine, Julio Arellano, Lucas Arellano) in throw-ins, 21-7. Casablanca converted 8-of-14 field shots and Newport was 6-of-11. Newport had 3-of-4 penalty conversions and Casablanca was 2-of-5. Newport led in fouls, 8-5. It was all Casablanca in the first half outscoring Newport, 2-1, 2-1 and 4-1 for an 8-3 halftime advantage. In the second half Newport started reeling them in, shutting them out in two chukkers and outscoring Casablanca, 2-0, 3-2 and 1-0. Azzaro's clutch penalty-four conversion in the fifth chukker gave Casablanca a 10-8 lead which turned out to be the winning goal after Julio Arellano converted a penalty-three with 1:03 left in the game. Ganzi took possession and ran out the clock. "It was a tough game, you have to give credit to Newport, they played really, really well," Ganzi said. "It's always tough to play against Sugar and Julio because they work so well together. We played well, had some good moments and we're in the finals but I think we can do better. We need to minimalize our mistakes. "Jeff was the most solid player on our team," Ganzi said. "He made the least mistakes and held the back down. He made some really key plays that maybe not everyone would notice because they weren't flashy but they were really important plays." Casablanca got balanced scoring from its lineup. Ganzi and Azzaro each had three goals, Bollini had two goals and Blake added one. Julio Arellano scored a game-high four goals for Newport. Sugar Erskine added three goals and Gene Goldstein and 17-year-old Lucas Arellano each had one goal. The second game was just as competitive as the opener. Flexjet (Melissa Ganzi, Jason Crowder, Alejandro Novillo Astrada, Juan Bollini) was 10-of-17 from the field and Santa Clara (JJ Celis, Lala Laplacette, Luis Escobar, Carlitos Gracida) was 4-of-15. Santa Clara was 1-for-1 at the penalty line and Flexjet never went to the foul line. Flexjet led in fouls 3-1 and throw-ins 12-8. Santa Clara started off with a 2-0 lead on handicap in a defensive first half with Flexjet leading by one at the half, 4-3. Astrada got hot in the second half, scoring five goals in the fourth chukker to give Flexjet comfortable 9-4 and 10-5 leads going into the final chukker where Santa Clara outscored them 2-0 but couldn't make up the deficit. Alejandro Novillo Astrada finished with a game-high seven goals. Melissa Ganzi had two goals and Jason Crowder added one. Luis Escobar led Santa Clara with two goals. "I think this is a good team and has a chance in the final, it should be a close game," said Novillo Astrada, who was scheduled to return to Argentina on Monday to play in the Argentine Open semifinal. He is expected to be replaced by Pablo Dorignac for the final. "We started the game very well but we were unable to score some goals," Novillo Astrada said. "Luckily in the fourth chukker we opened up the game. We beat them down in that chukker and controlled the game. 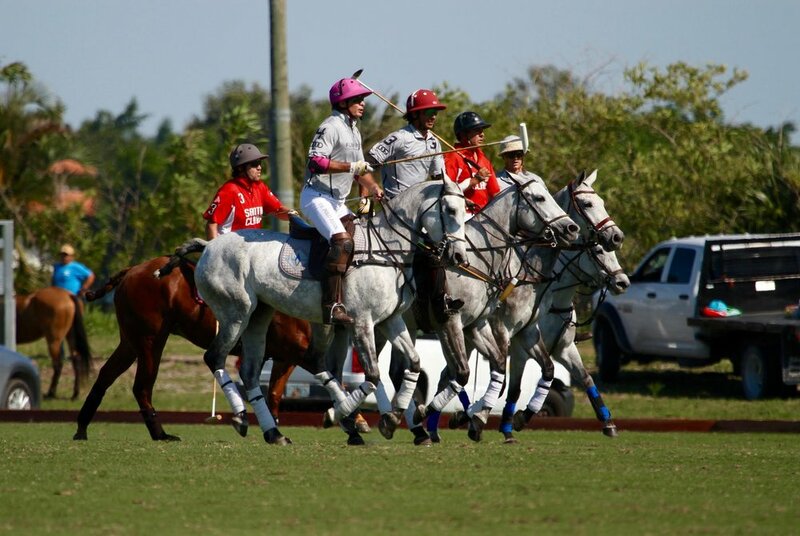 The first National 20-Goal tournament was held in 2007 at the now-defunct Royal Palm Polo Sports Club in Boca Raton. Houston-based BTA (Chrys Beal, Francisco Lanusse, Mariano Gonzalez, Santiago Trotz) defeated Audi, 13-12. After a four-year hiatus, the next six tournaments were hosted by Grand Champions. The winners were: 2011, KIG (Bash Kazi, Hector Galindo, Jeff Blake, Tommy Biddle) defeated Piaget, 12-8; 2012, Audi (Marc Ganzi, Carlitos Gracida, Nic Roldan, Carlos Gracida) defeated Piaget, 10-9; 2013, Audi (Marc Ganzi, Carlitos Gracida, Nic Roldan, Carlos Gracida) defeated ELG, 13-7; 2014, Flight Options (Melissa Ganzi, Kris Kampsen, Nic Roldan, Juan Bollini) defeated Team USPA, 14-11; and 2015, Audi (Marc Ganzi, Sugar Erskine, Jeff Blake, Carlucho Arellano) defeated Flexjet, 11-8. Grand Champions will close out the successful fall season with the Nov. 25 doubleheader with the Carlos Gracida Memorial Legends of Polo and International Cup pitting five-time defending champion Team USA against Brazil. Sponsorship packages are still available and tickets remain on sale. The first six fall tournament winners were: Audi, which defeated Casablanca, 11-10, in overtime to win the Tackeria Invitational; Casablanca in the US Trust Cup and USPA Fall Classic; Sebucan knocked off Casablanca to win the USPA Fall Plates; Casablanca defeated Audi, 11-9, in the USPA North American Cup final and Dutta Corp won the Polo Gear Challenge Cup. The entire fall season is being live-streamed on Wellington-based ChukkerTV, leaders in polo broadcasting with cutting-edge technology. ChukkerTV also features team challenges and instant replay which made their debut at Grand Champions in January, 2014. Grand Champions Polo Club, a turnkey facility, caters to men, women and youth polo players at all levels. Its' expert staff can customize a complete playing experience including horses, pros and certified umpires in addition to lessons and practice sessions as part of its' Polo On Demand program, the only polo club in the U.S. to offer the unique program.